This Virtual Machine image contains a ready-to-run IBM Integration Bus image at the selected version. In order to use this image, you need to launch it with your selected type, and log in via SSH to create and configure required Integration Nodes, Message Flows, Queue Managers, Queues and Listeners, etc.. Port 20000 and 20100 to open for RapidDeploy Remote Agent (optional). 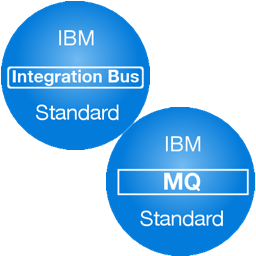 The IBM Integration Bus products are shipped with a base binary installation but without the necessary Integration Nodes created. On the first login to the instance, you will be placed into a console wizard, which will guide you through the process of creating and starting IBM Integration Nodes and other configuration steps. The following is an overview of the steps you will be guided through to get started with the installed products on the instance. Log onto the instance via SSH with your Azure user and credentials. Once the instance has started up (you can see it by having “Running” status in Azure console), you can connect to the instance via any SSH client. You can log in to your instance with provisioned Azure username and the credentials which can be based on password or certificate file. Please run 'sudo su - mqm' to start using provided services. Once the admin user is logged in, please log in as the ‘mqm’ user via the command ‘sudo su – mqm’. You are placed in a setup wizard. Choose whether to create and start an IBM Integration Bus server. You can log in to IIB console as “mqm” using ‘mqm]‘ as password. mqm: This is the default user, which you can log in as. It is permitted to use all SUDO rights. To switch to the root user, type “sudo su“. There are a few scripts and other files in mqm and root users home directory, which will need to remain unchanged in order to keep the provided scripts working. There are a set of scripts in mqm home directory. Those scripts are executed when logging into the instance controlled by .bash_profile , but you can also execute them manually whenever they are needed. There are some hidden files used as well, .firstrun indicates that the setup wizard has already ran once. If you lose your SSH connection to the target instance during the first run setup script execution (e.g. as a result of a network problem), we advise you to delete and recreate the Microsoft Azure instance and run the script again.